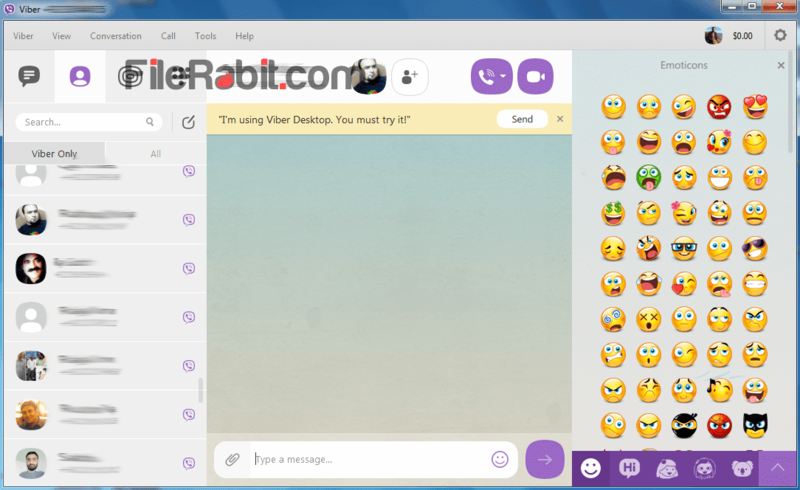 Viber for desktop allows to dial unlimited phone calls on cheap rates, make free voice or video calls, send smiles, images and videos or share location. Viber is multi platform and multiple languages based chatting and calling messenger available for Blackberry, Microsoft Windows, Android, Apple iOS, Windows Phone, Mac and Linux. That’s why its so much popular among mobile and desktop computer users. Skype, Facebook and Whatsapp are biggest competitors of Viber but the functionalities, easy to use and latest updates makes it top of list. Several VoIP services are used to communicate with friends and family members. Sending voice memos, images, video clips and geographical position to any Viber for Desktop customer. The main advantage of globally used VoIP communication apps (e.g. Facebook, Whatsapp, Skype, IMO, Viber) will sync data with user contacts automatically. This is why everyone is using these tiny applications to stay live with friends & family without paying to network operator for call charges. Group video calling is ad advanced form or voice / video calling. 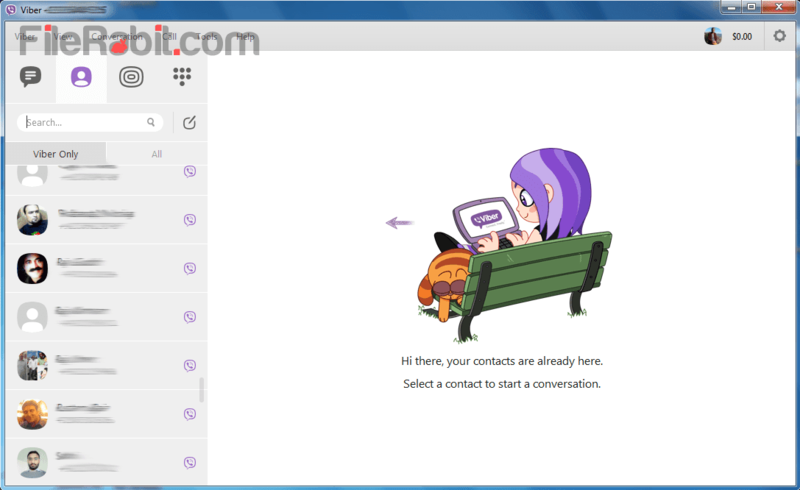 Viber for desktop allows to have group video calling for upto 100 contacts. This will help college/university student to attend class, attend meeting at office from home or join friends and family private talk from anywhere as well. A huge number of smilies with different modes and animations are enough to pleasant a sad mode. The simple and awesome colorful design is user friendly which makes it easy to operate. Viber for Windows requires to scan bar code right from mobile where Viber application has been installed. SMS industry was heavily damaged because of social apps because most of us were using these apps to communicate with each other without any cost. 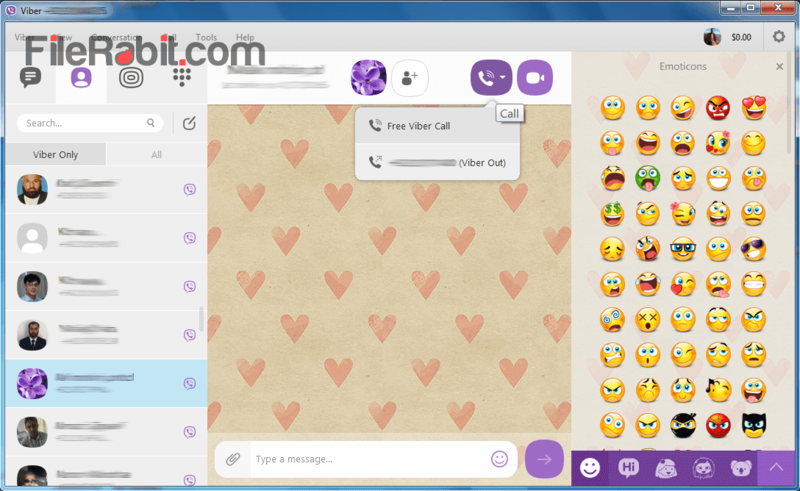 Viber for desktop will synchronous all chatting, profile picture, chatting and even smilies data with PC. SO you can say, its a backup of mobile data on PC which is more safe than on smartphone. ViberOut is another top class feature of Viber that allows us to make landline or mobile calls to anyone with lowest rates. Viber Out needs credit into your account which can be purchased with credit or visa card. However, Viber offers excellent call quality with clear and smooth sound. Even the network signals are poor in your area, Viber will never lose the quality of calling.